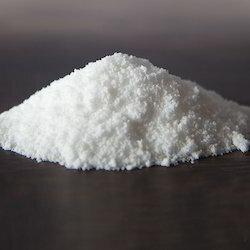 Manufacturer of a wide range of products which include acrylamide powder, pam powder, anionic flocculant, anionic polymer, cationic flocculant and cationic polymer. 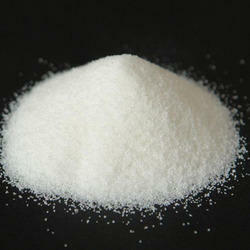 Polymerized Acrylamide Powder is used for flocculating solids in a liquid. This strategy applies to water treatment, and methodology like paper making and screen printing. It serves as a high molecular weight polymer suitable for sugarcane juice clarification and filtration of mud slurry that is especially designed for the food industry. It requires a lower dosage and helps in improving the juice clarity and enhances the rate of mud filtration. 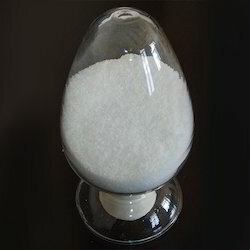 It also helps in improving the sugar recovery from filter cake and also reduces consumption of alum in precipitation of color and colloidal matter. • Flocculation: Polymers frequently carry electrostatic charges that check surface atom parity achieving flocculation. • Adsorption: They have good adhering capacity with reversible covalent bonds between atom surfaces allowing them to increase in size and mass. • Friction Reduction: It successfully reduces friction. Friction loss is minimized by 50 - 80% with a little addition of the product. 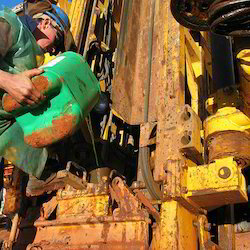 • Thickener: It is utilized to thicken a combination of mud in both neutral and acidic conditions. Chemtex manufactured product PAM Powder or Polyacrylamide is a high molecular weight powder polymer suitable for sugarcane juice clarification and filtration of mud slurry. 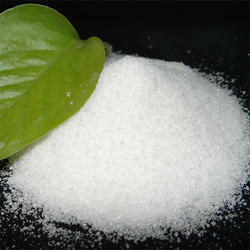 PAM Powder is particularly designed for food industry with very low residual monomer of less than 0.02%. Anionic Flocculant is included in the various range of effluent treatment chemicals offered by Chemtex Speciality Limited. As a part of the effluent chemicals, Chemtex manufactures a series of different flocculants and coagulants. A flocculant is referred to a long chain hydrocarbon (polymer) consisting of several repeating units and have molecular weights ranging from 5 to 20 million. The function of flocculant is to form larger aggregrates from coagulated particles and settle them. The charge of a flocculant varies depending on its chemistry and may be anionic, cationic or non-ionic or neutral. Anionic Flocculants are compounds with negative charges. Anionic flocculants are used by most aggregate operations. These are non-toxic chemicals. They are ideally used in wastewater and effluent treatment applications. They help in flocculating suspended solids. Useful for non-potable raw water clarification. 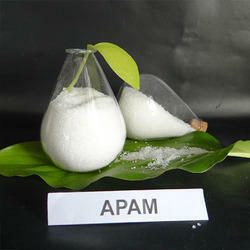 Anionic Polymers are water soluble polymers used for flocculation in effluent treatment. Anionic Polymers are of various high, medium and low molecular weight, ionic charge of low to high etc. 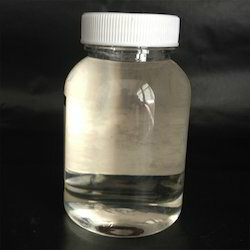 Anionic polymer developed by Chemtex Speciality Limited is a high performance polymer which is scientifically formulated to use as flocculants in the waste water treatment applications. At Chemtex, we process the product with higher prudency for making it applicable with any pH value range. Our product, a white colored powder is widely known for its unique characteristics such as improvising efficiency of clarifier, lower time retention, reduction in mud volume and its suitability in any pH range. It is useful for non potable raw water clarification, primary and secondary effluent clarification, improves solid settling and decrease the BOD load on the system. It improves solids compaction (SVI), removes suspended solids, and increases hydraulic system capacity. Chemtex Speciality Ltd is an ISO 9001, OHSAS 18001 and ISO 14001 certified manufacturer of Anionic polymer. It has also established itself to be among world's renowned polymers exporter having its facility in India. Your search for good quality polymer supplier ends here. Chemtex Speciality manufactured product Cationic Flocculant is a polyelectrolyte with a positive charge. It is used for dewatering of organic sludge from sewage, human waste etc. It also aids in the dewatering of organic sludge from pharma and industrial effluent. Chemtex Speciality Limited is involved in the manufacturing of Cationic Polymer, a cationic polyelectrolyte coagulant/ flocculant, that exhibits to be used for the purpose of dewatering of organic sludge from sewage, human waste etc. It proves to be useful in dewatering of sludge from industrial effluent. The key advantage of using Cationic Polymer is that it is economical to be used effectively at very low dosage level and also performs well over a wide pH range. It can achieve high solids capture and is easily sealable in water. 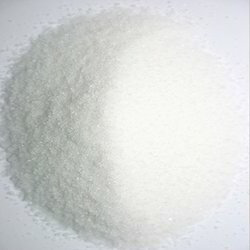 Chemtex Speciality Limited manufactured product Polyacrylamide High Molecular Wt is an anionic charged solid polyelectrolyte that has been designed to be used as a flocculant in the direct filtration process for settling of inorganic suspended solids, effluent water. It is used for effluent treatment of inorganic suspended solids found in breweries, beverage, chemical, fishery, food, textile, dye, other effluent water, mining and coal washing waste water, metal processing industries, etc. Polyacrylamide, in its ionic form, is found to be having an important role in the potable water treatment industry. Trivalent metal salts like aluminum chloride and ferric chloride are bridged by the long polymer chains of polyacrylamide. This leads to significant enhancement of the rate of flocculation. This allows water treatment plants to improve the removal of total organic content (TOC) from raw water to a great extent. Chemtex Speciality Limited manufactures a complete range of superior quality textile processing chemicals for various applications in processing industries. Huge amount of wastes are generated and these get discharged usually in some water bodies. Therefore, effluent treatment becomes a critical responsibility. Chemtex offers finest quality of effluent treatment chemicals. Decolourizing or bleaching of wastewater is one of the critical stages involved in the processing of the same. The process of removal of natural coloring matters and add-ons from the raw materials prior to release is referred to as scouring and bleaching. Chemtex offers finest quality of Decolouring Chemicals including Poly Acrylic Acid, Hydrogen Peroxide, etc to help in the process of decolorization of waste material into a suitable processing material through the processes of oxidative and reductive bleaching. 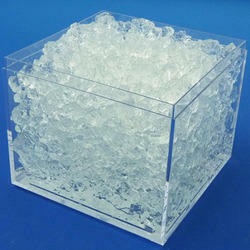 Cationic Polyacrylamide is utilized for dewatering organic slush from human waste, sewage and industrial effluents. This powdered form flocculant is formulated by making use of finest quality polyacrylic ester to ensure exceptional treatment effects in the combination of inorganic flocculants. By neutralizing the electric charge of sludge particles, these electrolytes promote flocculation effectively. It is appreciated for unmatched features like exceptional floc formation, superior cleaning performance, quick settling, improvised filter clarity, high filtration capacity, fully miscible in water and competent in filter cake washing. Our organic based powder is suitably utilized in industrial waste water treatment, sewage treatment, paper making, petroleum, and metallurgy industries for clarification, sludge thickening, sludge dewatering and water recovery processes. Chemtex Specialty Limited formulated product Non Ionic Polyacrylamide is used as an ETP flocculant for settling the sludge after coagulation. It is a white color granule with 90% active matter and less than 1% monomer. Charged polymer structures are not a part of the composition of the Non Ionic Polyacrylamide. When formulated with water this product is able to perform better than other types of polyelectrolyte. Among several applications, Non Ionic Polyelectrolyte is responsible for modifying stability and flow properties of aqueous solutions and gels. 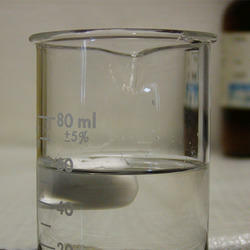 This polyacrylamide can also be used to destabilize a colloidal suspension and can even help to initiate flocculation. For the qualities that this polyelectrolyte possesses, they prove to be beneficial in water treatment and in oil recovery. Chemtex Speciality Limited is an ISO 9001, ISO 14001 and OHSAS 18001 certified company that specializes in the manufacturing of Non Ionic Polyacrylamide. It has also established itself to be among world's renowned multipurpose chemical exporter having its facility in India. Chemtex's greatest business vitality and strength are its technical and manufacturing knowledge and a well developed technical service team. Chemtex Speciality Limited manufactured product Deoily Polyelectrolyte (DOPE) serves as a powdered polyelectrolyte that is used as a flocculant in direct filtration process for settling of inorganic suspended solids, effluent water. The dosage range of Deoily Polyelectrolyte, offered by Chemtex, varies from 0.2 - 3.0 ppm depending upon the type of effluent and application. It is always advised to do a jar test for evaluating the functioning and approximate dosage of DOPE.